With bad credit, finding a great car that fits your needs and wants can seem like a rat race. You bounce from dealer to dealer only to be rejected or offered a vehicle that doesn’t fit your needs. 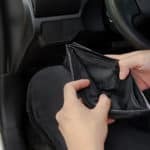 It doesn’t have to be this way, and we’ll tell you how RightWay can help end the rat race and get you in the vehicle you need. 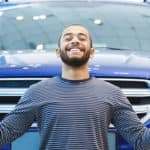 With bad credit, you are sometimes put in a situation where the dealer pulls your credit then tells you the car it will sell you from its limited selection. That’s not how it works at RightWay. We will get you matched up with one of our 20+ lenders that offers the best rates for your situation. With a preapproval in place, you can shop for the car you want within the budget the lender set. Unlike many buy-here-pay-here used car lots, RightWay has a massive inventory spread across our 29 dealerships. To be specific, we have more than 1,470 vehicles in stock. They are all available online for viewing from the comfort of your own home. You can also come by one of our dealers, and we will gladly show you what we have to offer and get you prequalified. When you have bad credit, you may forget about the little details and focus solely on getting approved. 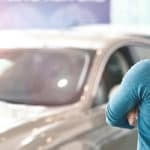 While getting approved is the main goal here, you also need to consider what kind of warranty the vehicle comes with. The last thing you want is to take on a car loan only to have the vehicle break down on you shortly after. At RightWay, we have you (and your new car) covered with our six-month/6,000-mile limited warranty. You also want to take care of your new wheel by keeping up with the maintenance, and this costs money. 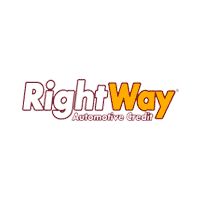 RightWay helps you save with two years of oil changes included with your purchase. This helps keep your car’s engine running well without creating a budget breakdown.